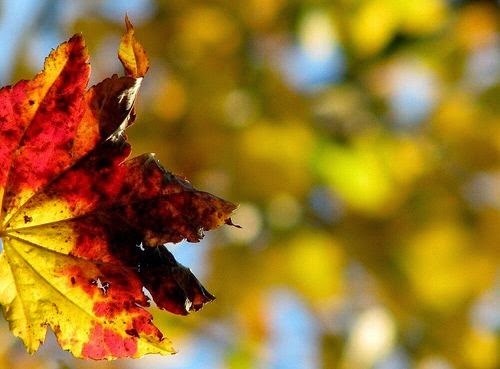 Falling for autumn we are; the cozy, warm harvest comes as a welcome reprise from the fruity wiles of summer. Crisp red apples, hearty sundry squashes, hot spices and comforting soups, what a celebratory time of plenty filled with gratitude for the fruitfulness of life and deliciousness wafting in the wind. Here are our chosen autumnal evening snack recipes, designed to give you the sustained energy you need to take care of yourself, your family and your work – with some left over for playing in the leaves. Slice a wheel of Brie cheese (with rind) in half. 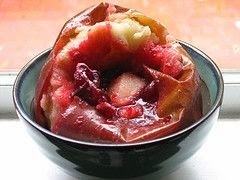 Top the bottom half of the circle (sliced edge up) with a mixture of 2 tablespoons maple syrup, one tablespoon unsalted melted butter, one small chopped apple, ⅓ cup sliced natural almonds and ⅓ cup dried cranberries, saving a bit of the mix to go on top as garnish. 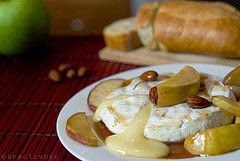 Put the top section of Brie back on and bake at 350°F for 7 minutes. Garnish with the remaining fruit and nut mixture and serve with table-water crackers. This easy and delicious soup is a great appetizer at an autumn dinner or on its own for a filling afternoon snack. 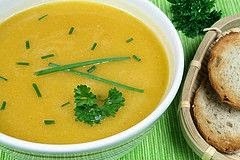 Puree 2 cups of cooked pumpkin (or you can used canned) along with 4 cups vegetable stock, ½ cup milk, one tablespoon butter, one tablespoon Bragg’s seasoning and ¼ cup dry milk. Heat until boiling, and enjoy! 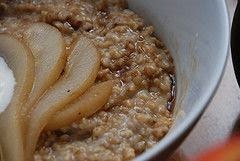 Cook steel-cut oats according to package directions, then add any (or all!) of the following for a warm autumn snack that will keep you going for hours: butter, cream, brown sugar or maple syrup, chopped apples or applesauce, roasted nuts, raisins or dried fruit, plus a dash of cinnamon and salt. 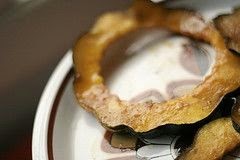 Cut an acorn squash (any color) into ½” rings, discarding the seeds and membrane. Arrange slices in large baking dish, pour ½ cup of orange juice over the rings, cover with them loosely with foil and bake at 350°F for 30 minutes. While the rings are baking, combine ¼ cup brown sugar and 2 tablespoons each maple syrup and butter in a saucepan. Bring it to boil and simmer for 2-3 minutes, stirring constantly. Brush this mixture over the squash slices and continue to bake, uncovered, for 15 minutes or until the squash is tender and lightly browned. Top your favorite greens with half of a chopped Granny Smith apple and ¼ cup each of dried sweetened cranberries and roasted walnuts. 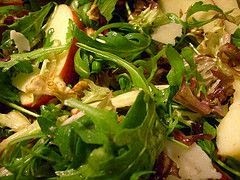 Crumble 1-2 ounces of blue cheese on the salad, and then finish it off with creamy balsamic vinaigrette for a delicious salad that is bursting with different fall flavors. This easy dip is great for apples or any kind of fruit. Combine one 8-ounce carton of sour cream with two tablespoons brown sugar and a half-teaspoon of cinnamon. Stir in ½ cup of toasted pecans or walnuts, and enjoy with your favorite kind of apple! Pumpkin is packed with nutrients, and these yummy pancakes are super moist and perfect for a leisurely brunch. Prepare pancake batter as usual. Add half a can of pumpkin-pie mix to the batter for each four servings of pancakes you are making. Top with maple syrup plus a handful of roasted pecans. Great for breakfast, an afternoon treat or a dinnertime dessert! 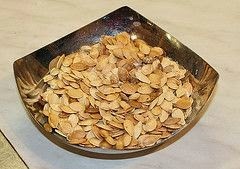 After you carve a pumpkin, don’t throw out the seeds! Instead, rinse them and cook on a greased baking sheet for 25-35 minutes at 325°F, stirring about every five minutes. Flavor simply with salt and pepper or get creative with other spices like cayenne, cumin and chili powder. 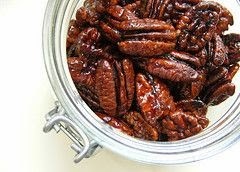 Roast 8 ounces of pecan halves in 350°F oven for 4 minutes; stir, then roast for another 4 minutes (you can brush the pecans with butter before you roast them for added flavor). Cool completely, then salt the nuts lightly and combine with 4 ounces of dried, sweetened cranberries and 4 ounces of dried, sweetened apples. If you have a sweet tooth, you can add Reese’s pieces, candy corn or autumn-colored M&Ms. Preheat oven to 350°. Core four Granny Smith apples to within ½” of the bottom. Mix together ¼ cup whole-berry cranberry sauce or relish, 2 tablespoons brown sugar and ½ teaspoon cinnamon, and then stuff into the apples. 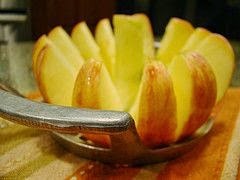 Put apples in baking dish and cover with foil. Bake in middle of oven until very tender when pierced and still intact, 1 to 1 1/4 hours (start checking apples for doneness at 45 minutes). Serve alone or topped with vanilla ice cream and a handful of toasted walnuts.